Amongst the usual civic receptions, theatre nights and other invitations for visiting mens crews, was an invitation by SP bookmaker John Wren to the Stadium. The eights race was magnificent with all States represented. It resulted in a creditable win to Western Australia who reportedly gave a splendid exhibition of rowing with Tasmania second. The race was rowed from the 3 mile 2 chain mark to the 2 chain mark at Queen's Bridge. Victoria started well and took the early lead from WA. WA then took the lead from Victoria and South Australia before the half way mark. However by the half way mark Tasmania had rowed themselves into the lead with WA second. By the two mile mark WA regained the lead and kept it to the finish. The margin between first and second was 2 lengths but the margins between the rest of the field were the closest on record. The field was very much bunched together. The sculling race commenced at the same position as the eights but ended at the 42 chain mark near the docks. Cambridge won in his first attempt at the race. 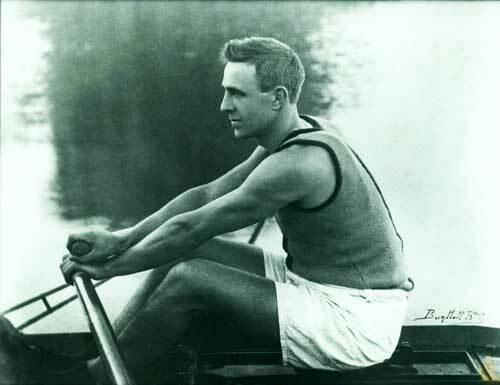 Baynes from Queensland was leading slightly at the end of the first mile but stopped rowing. He had been unwell before the race. 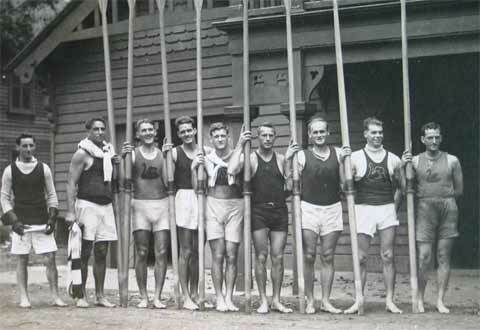 Cuthbertson took the lead by the half way mark but Cambridge headed the field with three quarters of a mile to go and went on to win by three quarters of a length. 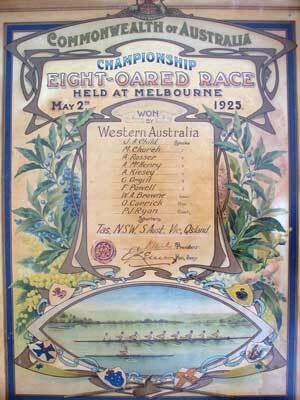 The South Australians again dominated this event with a four length win.